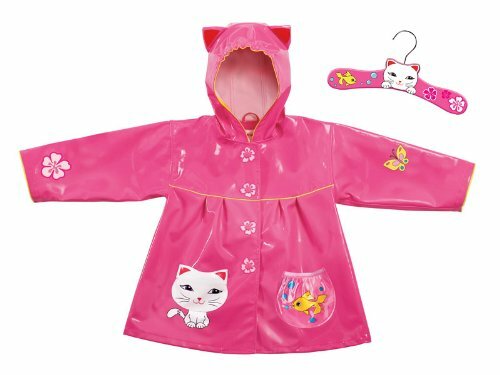 Our kids raincoats are made of 100 percent PVC and lined with polyester for comfort, with two pockets to store little treasures. Easy to clean and care for. Included with every aincoat purchase is a free hanger.